Conran pride ourselves in being one of the most innovative estate agents and property professionals in London. 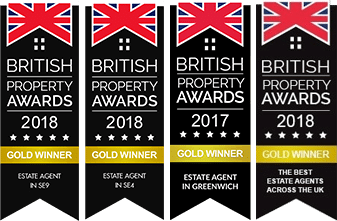 We have four local offices in Brockley, Charlton, Eltham and Greenwich and with our exclusive membership of The Guild of Professional Estate Agents we have nearly 800 partner estate agents throughout the United Kingdom. Our marketing is truly outstanding. Not only do we appear on over 30 websites, we have our own quality branded magazine (Conran Estates Life) and all of our properties gain London and international presence through our affiliated office in London’s Park Lane. Whether you are looking to sell or let a property, we certainly have the expertise and experience to assist you. Why don’t you use the ‘Valuation Request’ option and we can offer you a free valuation for marketing purposes? With the national average it takes to sell a house currently at 14 weeks, it is likely that you will be working with your estate agent for some time. Expert local knowledge and an honest transparent approach mean that we understand the quirks, layout, charms and features of your home. Your home is special. Think about all of the memories created inside, the delicious dinners produced in the kitchen, the love and laughter of the holidays. Conran are recognised as being in the top 1% of Estate Agents Nationwide, winning awards since 2005. Photographs are one of the most important tools in your arsenal when you are trying to sell your home. Effective marketing is the key to the sale of your home. Our team is comprised of marketing experts with an extensive range of tools at their fingertips.